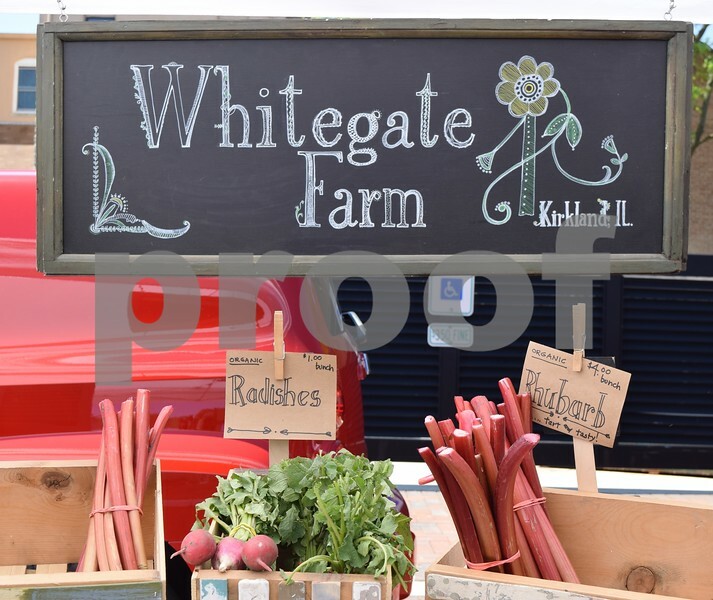 Whitegate Farm stand featured organic vegetables, flowers and plants at yesterday's farmers market in downtown DeKalb. The DeKalb Farmers Market will be in Van Buer Plaza 10 a.m. to 2 p.m. Thursdays through September 28. The farmers market features more than 30 vendors that sell fresh locally grown produce, baked goods, coffee, flowers, food trucks, meat and more. Vendors accept not only cash but also debit, credit and LINK cards.